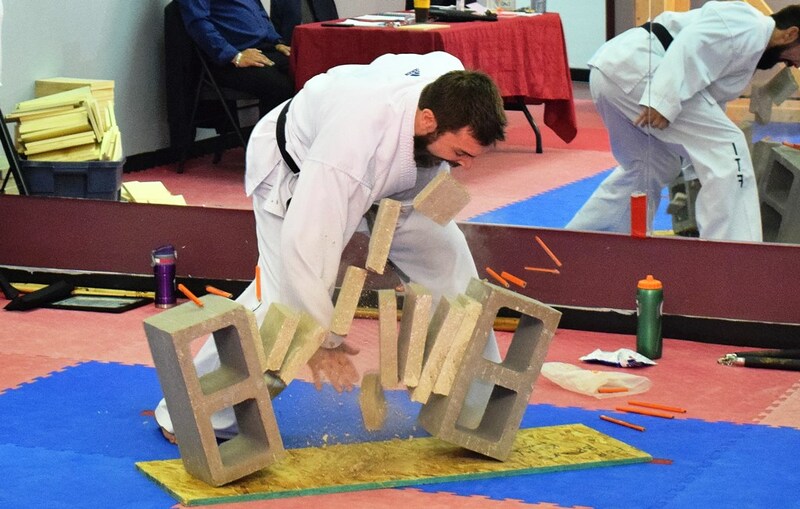 One element of Taekwondo training involves breaking wood or concrete with various parts of the hand or foot. 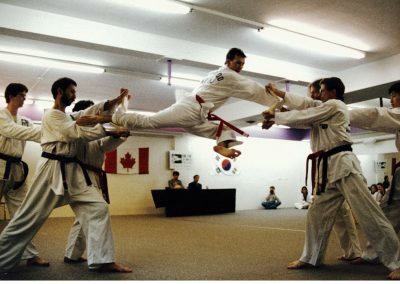 This allows a student to demonstrate a technique to develop proficiency, accuracy, speed, power, and confidence! 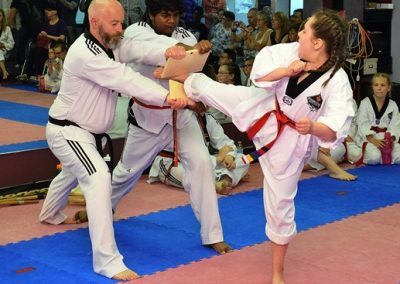 Breaking is an important aspect of Taekwondo as it challenges students to control their mind by focusing on a target, and channelling their energy towards an exact point to strike. This process teaches students how to face challenges and even fear, and how to overcome and conquer that fear. Students become mentally strong and confident through determination and perseverance, hence developing indomitable spirit. 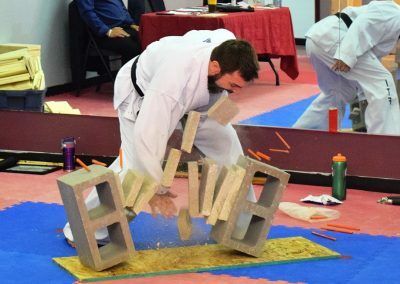 Students must break a board for every belt level promotion test they participate in. 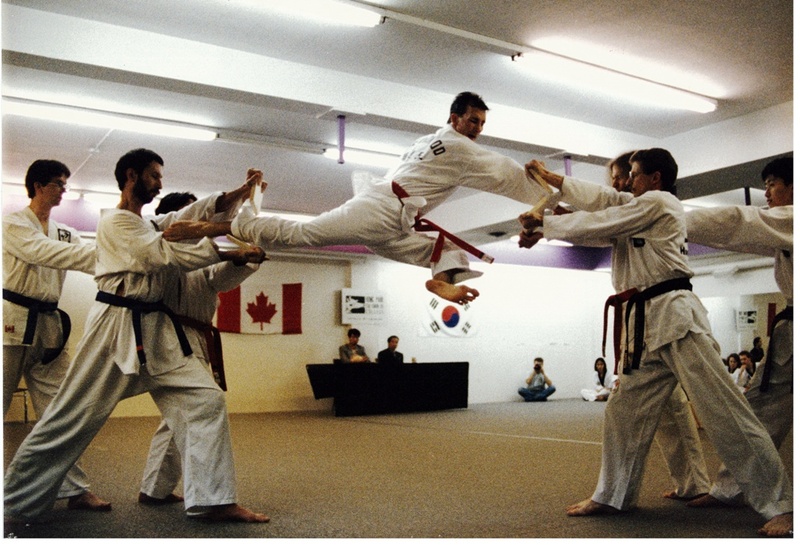 Different Taekwondo techniques are introduced at each belt level and are performed to ensure the techniques are done correctly. 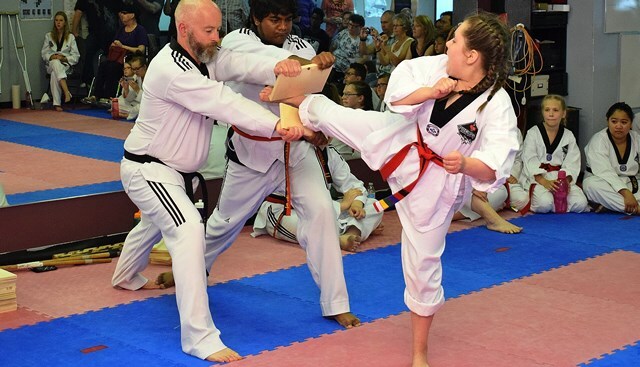 When each student strikes with the proper part of the foot or hand, remains calm and confident, and does a loud KYOP on their attempt, they WILL BE SUCCESSFUL! 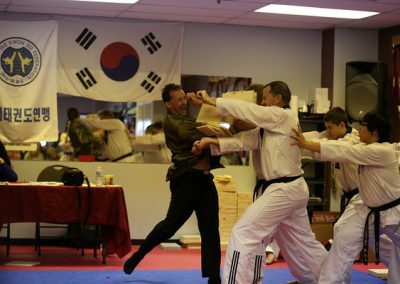 Breaking techniques through the regular practice of Taekwondo training is also a ton of fun!